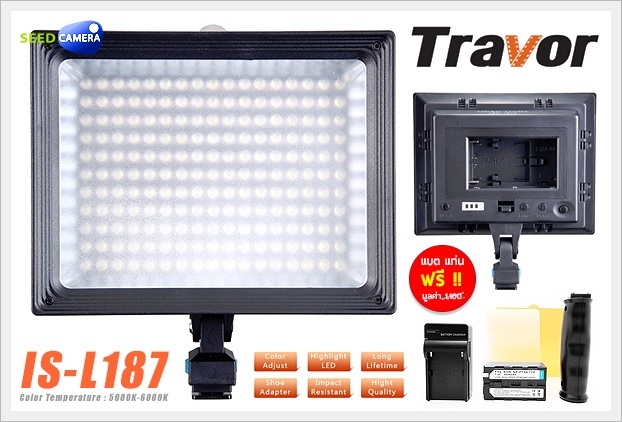 Travor IS-L187 is a video light with a high-brightness white LED can cover up to 3-10 meters. The LED has a long lifetime of about 10000 hours along with impact resistant & weather resistant qualities, and so requires almost no maintenance. A light connector adapter is designed for any video camera or dslr camera.